We've all daydreamed about living in a simpler time, working hard at a good job, and coming home every night to a nice house, a faithful pet, and a loving family. But when you imagine it, is the pet actually a dog-sized dinosaur? 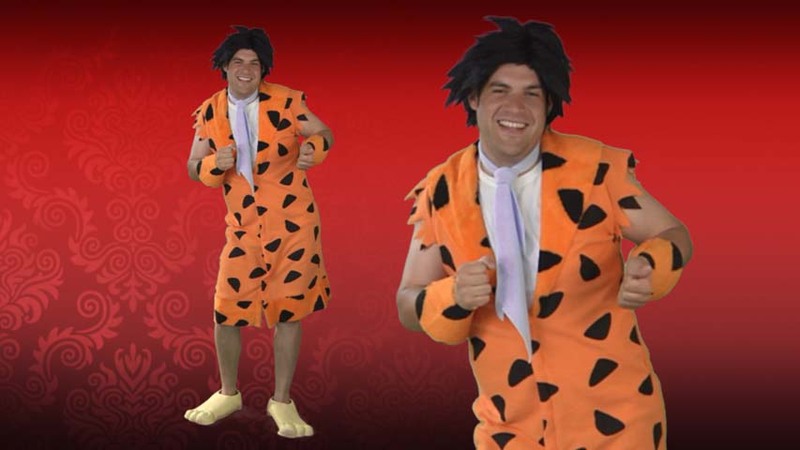 It sounds like this Deluxe Fred Flintstone Costume is just what you need to make your dream a reality! Good old Fred is the portrait of the modern Stone Age working man (it's a cave-portrait, but it still counts) and if you don't believe us, just check out his day to day life in the town of Bedrock. He's not the sharpest tooth in the saber tooth tiger's mouth, but he's a hard worker at the local quarry, and it seems like he's always got enough cash to treat Wilma and Pebbles to bronto-burgers and a movie at the drive-in! 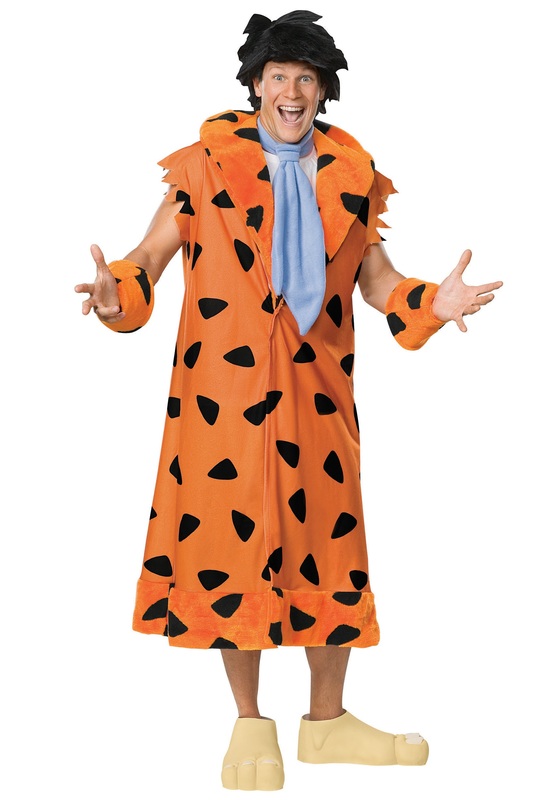 Also, we're no experts on Flintstones-era fashion, but we'd bet that orange spotted pelt he's always seen sporting wasn't cheap.